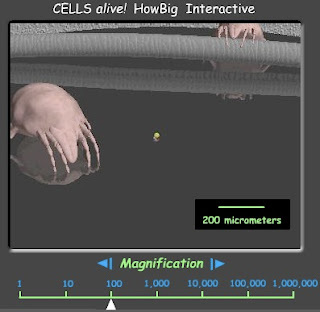 "Cells Alive" is amazing resource for biology teachers who want to introduce their students to cell biology, microbiology, immunology and microscopy. It includes interactive demonstration such as " how big" where the students starts with the head of a pin and zoom in to see a human hair, dust mites, pollen, blood cells, E.Coli and virus. Students will see how each of the things compared in size to the others. Student may also "watch" mitosis and meiosis using interactive demonstration going through all the phases. They can also go through the cell cycle. 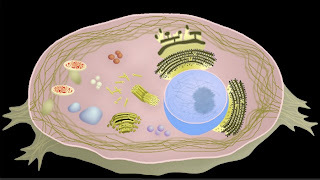 In addition, they can watch the organelles in a cell plant or animal plant and learn about their functions. All of these activities are interactive and highly visual. There are Word Puzzles and Jigsaw Puzzles related to cell biology to let them have some fun while learning. A few quizzes about cell biology, the immune system and microbes will let them test their knowledge. Students may also use a biocam to look at cancer cells or bacteria. There are cell galleries of pictures and for those who prefer to look at non-living things, there is a crystal gallery of pictures. There are also some tips on how to enhance an image when using a microscope. This resource is just great! If you teach biology, you will certainly use it. November 1, 2011 at 11:24 p.m.